Naseem Ahmed Dept. of Pathology, Dow Medical College, Dow University of Health Sciences, Karachi, Pakistan. Hafiz Yahya Iftikhar Dow Medical College, Dow University of Health Sciences, Karachi, Pakistan. Rabiya Javed Dow Medical College, Dow University of Health Sciences, Karachi, Pakistan. Tahniat Warda Dow Medical College, Dow University of Health Sciences, Karachi, Pakistan. Samra Samad Dow Medical College, Dow University of Health Sciences, Karachi, Pakistan. Keywords: De Quervain’s tenosynovitis, frequency, Finkelstein test. Background: To determine the frequency of De Quervain’s tenosynovitis and its association with Short Message Service (SMS texting). 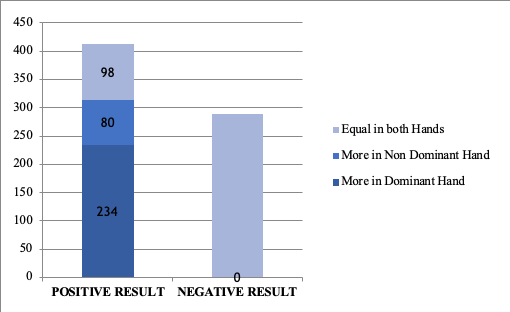 Methods: A cross sectional study was conducted to determine the prevalence of De Quervain’s tenosynovitis in the general population of Karachi, ranging in age from 15-35 years with a sample size of 700 individuals. Participants from different educational backgrounds were included. De Quervain’s tenosynovitis was diagnosed through Finkelstein test. Data entry and analysis were done through SPSS version 20.0. Chi-squared test with 95% confidence interval was applied to compare categorical variables, P value < 0.05 was considered significant. Results: Male to female ratio was 1:2. A total of 79.3% were undergraduates or below in academic qualification. The education level and the median age were consistent with our target population. An overwhelming majority of 96.7% (678) use touch screen smart phones. Hardly anyone uses standard cell phones (0.7%) or QWERTY keyboard cell phones (1.4%). 1.1% of responders had cell phones of some other type. “Internet Usage” was the most frequent answer on the purpose of using cell phones with 91.6% (642). The next frequent answer was “Texting” with 85.6% of responders. 126 people had other uses for their cellphones apart from internet, texting, calling, reading, or playing games. 58.8% (412) of the 700 responders tested “positive” for the Finkelstein test, demonstrating pain in the wrist and thumb while performing the maneuver. Conclusion: The result of our study concluded that a significant majority of our youth uses touch screen smartphones, weighing an average of 100g, mainly for internet usage and texting. Because of the overuse of thumb musculature, more than half of them experienced pain over the radial side of the wrist and got a positive Finkelstein test which shows there is a positive relationship between De Quervain's and frequent and prolonged smartphone usage. Having a positive result for the Finkelstein test could lead to severe De Quervain's tenosynovitis. 1. Mehdinasab SA, Alemohammad SA. Methylprednisolone acetate injection plus casting versus casting alone for the treatment of de Quervain's tenosynovitis. 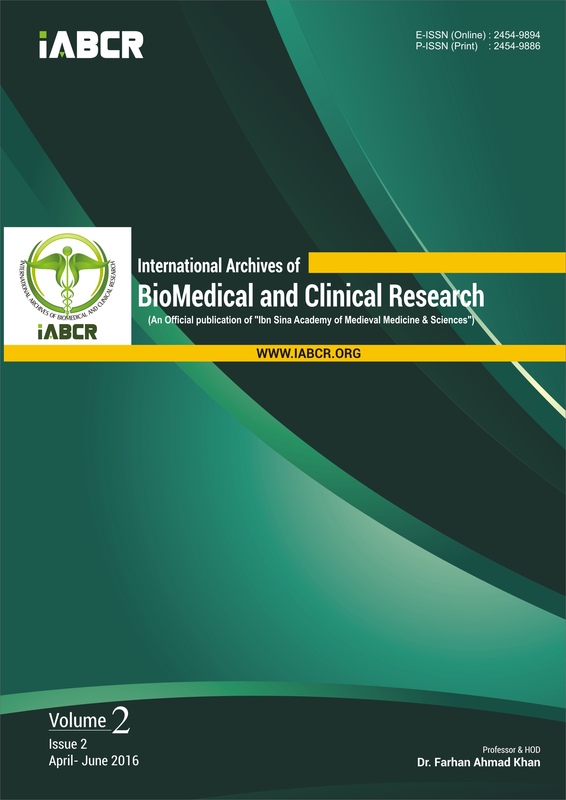 Archives of Iranian medicine. 2010 Jul 1;13(4):270. 2. Ali M, Asim M, Danish SH, Ahmad F, Iqbal A, Hasan SD. Frequency of De Quervain’s tenosynovitis and its association with SMS texting. Muscles, ligaments and tendons journal. 2014 Jan;4(1):74. 3. Ashurst JV, Turco DA, Lieb BE. Tenosynovitis caused by texting: an emerging disease. The Journal of the American Osteopathic Association. 2010 May 1;110(5):294-6. 4. Keon-Cohen B. De Quervain's disease. Bone & Joint Journal. 1951 Feb 1;33(1):96-9. 6. Kalra S. TEXTING ON MOBILE PHONES-ITS EFFECT ON PINCH GRIP. hand.;5:4-. 7. Wolf JM, Sturdivant RX, Owens BD. Incidence of de Quervain's tenosynovitis in a young, active population. Journal of Hand Surgery. 2009 Jan 1;34(1):112-5. 8. Pagonis T, Ditsios K, Toli P, Givissis P, Christodoulou A. Improved corticosteroid treatment of recalcitrant de Quervain tenosynovitis with a novel 4-point injection technique. The American journal of sports medicine. 2011 Feb;39(2):398-403. 9. FENTON RL, Lapidus PW. An anatomical study of the abductor pollicis longus and extensor pollicis longus and brevis. Bulletin of the Hospital for Joint Diseases. 1953 Apr;14(1):138-43. 10. Mork PJ, Westgaard RH. The influence of body posture, arm movement, and work stress on trapezius activity during computer work. European journal of applied physiology. 2007 Nov 1;101(4):445-56. 11. Gustafsson E, Johnson PW, Hagberg M. Thumb postures and physical loads during mobile phone use–A comparison of young adults with and without musculoskeletal symptoms. Journal of Electromyography and Kinesiology. 2010 Feb 1;20(1):127-35. 12. Dawson C, Mudgal CS. Staged description of the Finkelstein test. The Journal of hand surgery. 2010 Sep 1;35(9):1513-5. 13. Harwood P, Giannoudis PV. De Quervain’s Tenosynovitis. InPractical Procedures in Orthopedic Surgery 2011 (pp. 19-20). Springer, London. 14. Peters-Veluthamaningal C, Van der Windt DA, Winters JC, Meyboom-de Jong B. Corticosteroid injection for de Quervain’s tenosynovitis. Cochrane Database Syst Rev. 2009 Jul 8;3:CD005616. 15. Wolf JM, Sturdivant RX, Owens BD. Incidence of de Quervain's tenosynovitis in a young, active population. The Journal of hand surgery. 2009 Jan 1;34(1):112-5. 16. Raducha JE. De Quervain’s Tenosynovitis. InEssential Orthopedic Review 2018 (pp. 75-76). Springer, Cham. 17. Dinescu LI, Aalai M, Wang X. De Quervain’s Tenosynovitis. InMusculoskeletal Sports and Spine Disorders 2017 (pp. 117-120). Springer, Cham. 18. Ilyas AM. Nonsurgical treatment for de Quervain's tenosynovitis. Journal of Hand Surgery. 2009 May 1;34(5):928-9. 19. Glajchen N, Schweitzer M. MRI features in de Quervain’s tenosynovitis of the wrist. Skeletal radiology. 1996 Jan 1;25(1):63-5. 20. Diop AN, Ba-Diop S, Sane JC, Tomolet AA, Sy MH, Boyer L, Badiane M. Role of US in the management of de Quervain's tenosynovitis: review of 22 cases. Journal de radiologie. 2008 Sep;89(9 Pt 1):1081-4.